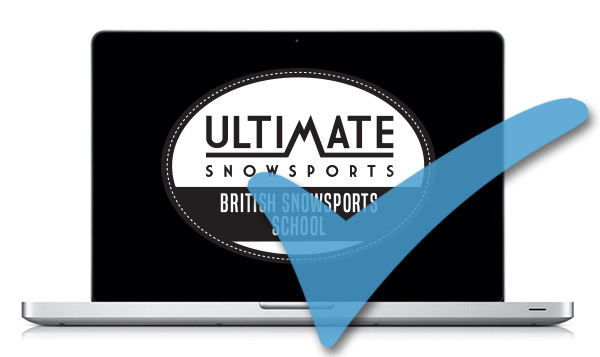 Ultimate Snowsports guarantees British Instructors and small groups.  For children, we provide an enjoyable snowboard school experience through fun tuition and positive encouragement, in a safe learning environment. 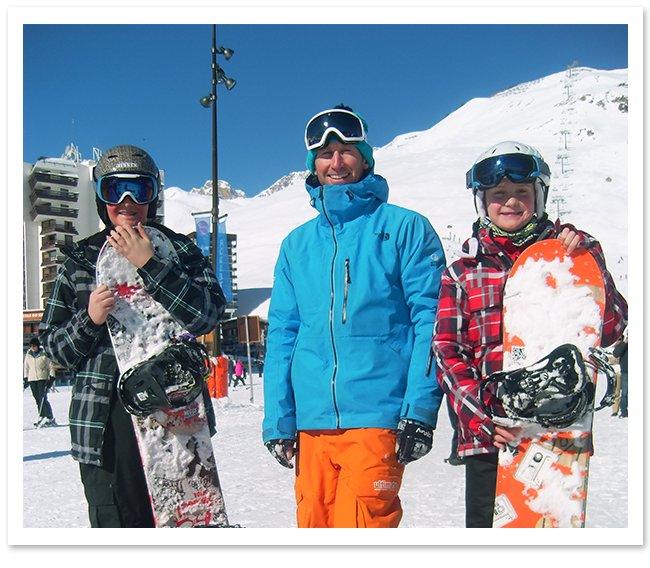 We guarantee that your children will have a fantastic time with Ultimate Snowsports. 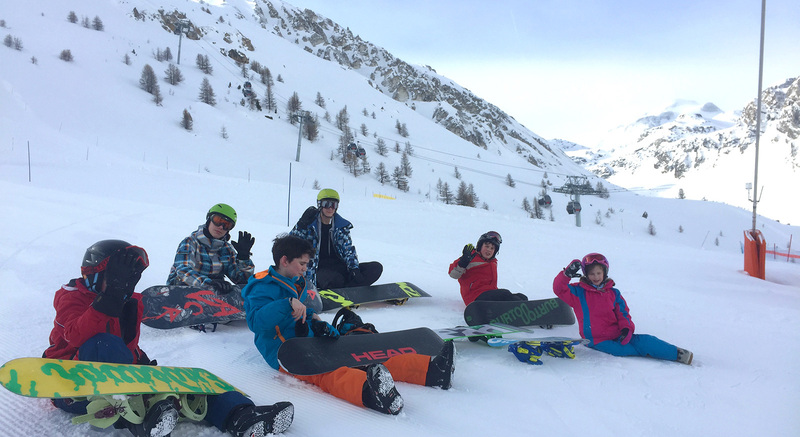 Freshie First Timer – You child is new to snowboarding, has done a test session or would benefit from a fresh start. Hopefully by the end of the week you’ll be making your own fresh lines.  Indy Improvers – Your child has tried snowboarding once or a few times, but sometimes finds it tough to link turns. Maybe an Indy air is for the next holiday but it would be cool if you are ready for a few tricks by the end of the week. 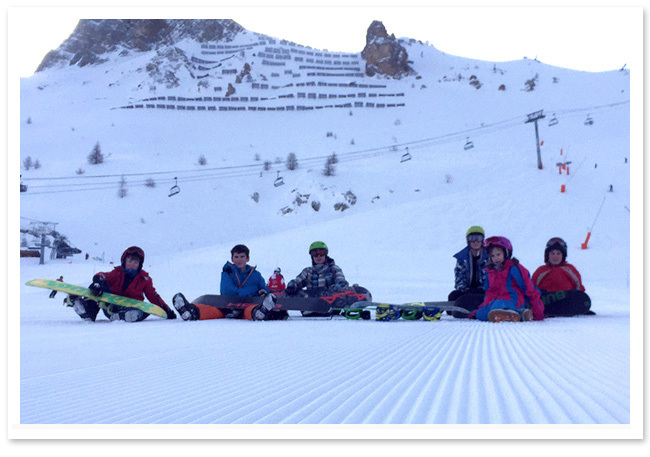 The Cruiser Crew – You child is comfortable turning and cruising on most slopes. This is more than just a cruise, we hope you’re ready for challenges such as bagging a few tricks, riding some pow, tackling some steeper slopes, and having a shot at riding switch. Children of this age require a larger amount of attention and support to ensure maximum safety, enjoyment and interaction whilst learning, so only recommend private lessons.